The process of performing a spiritual cleansing is a deeply moving ritual that begins at dawn and ends only when the last doorway is salted and the last lintel is anointed. I explain the full job here and encourage everyone to do it as described. If you can not do it all, then do as much as you can every day until the work is complete. Together, these three web pages will help you to understand the cultural context, the full spiritual implications, and the most authentic ways to perform rites of home cleaning and personal cleansing in the tradition of African-American folk magic, or hoodoo. Bath Herbs or Bath Crystals (13 Herb Bath, Van Van Bath Crystals, Basil Herb, Love Herbs Mix, and/or Peaceful Home Herbs Mix are all good; you may mix them if you wish). Gather your ingredients together the night before. De-clutter your house before you start. Gather all the laundry into a laundry room, or wash the laundry before you start. You begin just before dawn (sun-rise). You perform this work without speaking. Take a spiritual bath and dress in clean clothes that you can work in. It is best to take the bath before you begin, so that you can add your bath water to the wash water. Some like to take the bath afterwards, but if you do that, you still need to prepare yourself beforehand by washing your hands, your face, your feet, and your forehead with a spiritual product such as an herbal tea, anointing oil in water, or other preparation. I use the wash water I prepare for the house, using a clean white cloth. Prepare your wash water in a bucket, as directed on my recipe guide. Use what is left of your bath water with this. You clean the house from top to bottom, from back to front at dawn. Do not speak while performing the work. If you are working with someone however do not frustrate yourself trying to pantomime, simply speak to each other in respectful tones that you would use in church. While you are working, recite any of the following psalms or pray out loud or to yourself. Psalm 53 - Protection from those who do evil. Psalm 91 - Protection from danger in the neighborhood. Psalm 133 - Recited over Peace Water, if you are using it. 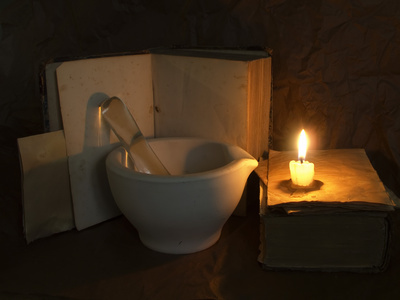 Light a white candle dressed with your anointing oil in the room. Light your incense. You may light one candle and some incense and leave it in each room, or carry them both along with you from room to room. If you suspect your house of having evil spirits, do not bring the candle or the incense along, leave it burning in the room. Anoint your duster with the wash in the spray bottle, or simply put a little olive oil on your palms and lightly anoint the duster. Dust every surface of the room, specifically the ceiling corners of each room. Don't forget the ceiling fans and light fixtures. Again, working top to bottom, and front to back. Lightly spray down the curtains, fabric furniture, and bed covers. Ideally all the beds have been stripped from the night before, and the bed cloths are washed and ready to be made up, or will be washed later and added clean to the beds. In this case, spray down the mattress. Using your wash water, clean the window sills and the base boards. If you have difficulties getting down on your knees to wash the base boards, use your duster along them. Open all your cabinet doors and drawers. I like to knock three times on them before I open them. Leave them open. If the floor is wood or tile, you will now wash the floor from back to front. If the floor is carpet, or you have area rugs, sprinkle the Floor/Carpet sprinkle on it back to front, recite your Psalm fully while praying, and then vacuum the sprinkle up. Take your white cloth dressed with anointing oil and step backwards out of the room, then reach up and wipe down the door way of room, especially the lintel. If you need to make fresh wash water or expect to need more then one bucket of scrub water, do one of the following processes. Throw EACH of the buckets outside to the east and make a new bucket up. Carry a cup of the dirty wash water forward into the next bucket of wash water. After making up the first bucket with your spiritual cleanser, use only a cup from it in each cleaning bucket. Augment that bucket with more Chinese floor wash, Pine Sol, Ajax or Lysol cleaner and throw outside to the east when done. This is my preferred method when I am washing the whole house, as I like to make herbal infusions as part of my cleaning. Final wash on the front door; Wash the front door from the inside out, paying special attention to the lintel and stoop. Sweep your porch completely. Dispose of the last bit of wash water outside to the east. "Let no sadness come through this gate, Let no trouble come to this dwelling, Let no fear come through this door, Let no conflict be in this place, Let this home be filled with the blessing of joy, and peace." Use one of the drawing or blessing washes from my recipe guide, or simply wipe down your door frame again with the white cloth and anointing oil. If you feel that you need extra protection, put a pinch of kosher salt and/or or a small pea-size bit of camphor in the corner of each room and in the center, under the bed/area rug or a small bowl or jar as close to the center of the room as possible. Closets -- do not overlook your closets! Although the above series of steps sounds like a HUGE undertaking, you will be glad to know that unless you are under severe spiritual attack, such a house-wide deep cleansing need only be conducted once a year, the same way that many folks perform an "annual Spring cleaning." In fact, your regular annual Spiritual cleaning can become the same as your annual Spring cleaning. Do not feel that you must purchase all new tools for the cleaning if you cannot afford them. Brooms and cloths do wear out over time, however, so your annual Spiritual cleaning is a good time to replace them. After the big house-wide cleansing, all you need to do to keep things nice in the home is toadd a little of the spiritual cleansing products, such as Chinese Wash or Peace Water, to your regular household cleaning supplies and say a simple prayer as you do so. You may renew the anointing oils in the various rooms at least once a year -- or whenever you feel the need to do so. 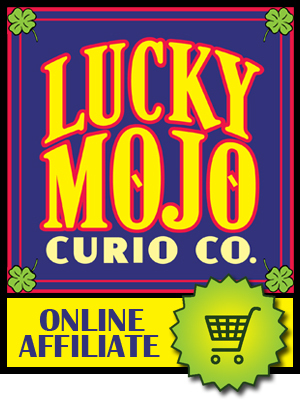 Black Cat Root Shack sells a wide variety of Lucky Mojo Brand products, either in stock now or SOON to be listed. See our other listings for Alleged Money Drawing, John the Conqueror, Fast Luck, Crown of Success, Follow Me Boy, Van Van, Fiery Wall of Protection, Come to Me, Love Me, Uncrossing, Blessing, Prosperity, Road Opener, Lodestone, Court Case, Reconciliation, Essence of Bend Over, Healing, Fire of Love, Hot Foot, Chinese Floor Wash, Peaceful Home, Wealthy Way, Stop Gossip, and Psychic Vision  Bath Crystals, Floor Washes, Sachet Powders, Condition Oils, Incense Powders and more!